Well we’ve only gone and done it again… this evening our chairman, Jeremy Leggett, will be picking up our fourth award of the year! This one comes from EUROSOLAR and is a really big deal in the solar industry. The European Solar Prize awards organisations taking innovative and pioneering action in promoting widespread use of solar energy. We have been awarded for our work combatting both climate change and poverty with solar lights in Africa. “Receiving this award is a hugely gratifying recognition both of what SolarAid has achieved, and the potential prize we see ahead of us. Our goal is to rid Africa of the kerosene lantern by 2020 and with our cumulative solar light sales surpassing 750,000 in October, with over 72% sold in the last 12 months, we are on track. It’s an exciting time. We have the potential to create a vibrant microcosm of how relatively easily clean energy can replace fossil fuels if people pull together. 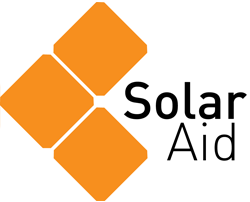 The award comes at a really exciting time for SolarAid as we have just embarked upon a three month campaign ran in partnership with the UK government. We are asking people to spread a little sunshine this winter – and the UK government will match your donation pound for pound.